b. c.1670, 3rd s. of Sir Francis Winnington, M.P., by his 2nd w. Elizabeth, da. and coh. 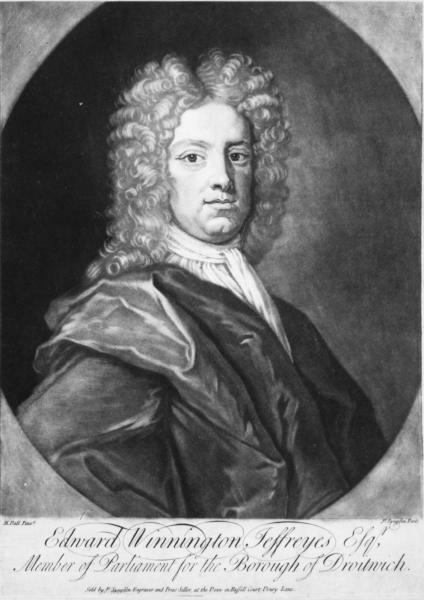 of Edward Salwey of Stanford, Worcs. ; uncle of Thomas Winnington. educ. M. Temple 1687, called 1694, bencher 1720. m. c.1708, Jane, da. of William Bloome of Altofts, Yorks., niece and h. of Henry Jefferies of Ham Castle, Worcs., 3s. d.v.p. Q.C. 1710; puisne justice of Carm., Card. and Pemb. 1711-12; 2nd justice of Chester, 1714-d.
Edward Winnington, who took the name of Jefferies when his wife succeeded to her uncle’s property in 1709, was described by a contemporary as ‘the most pleasing as well as most powerful advocate at the bar he had ever known upon the Oxford circuit’. that this had been the constant usage and practice ... and that it had never been otherwise, till the long Parliament in 1641, when all things were in confusion. 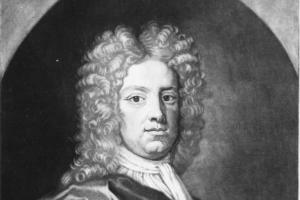 20 July 1725, leaving his estate to his elder brother, Salwey Winnington, M.P. 1. Nash, Worcs. ii. 20. 2. HMC Portland, iv. 693; vii. 307.